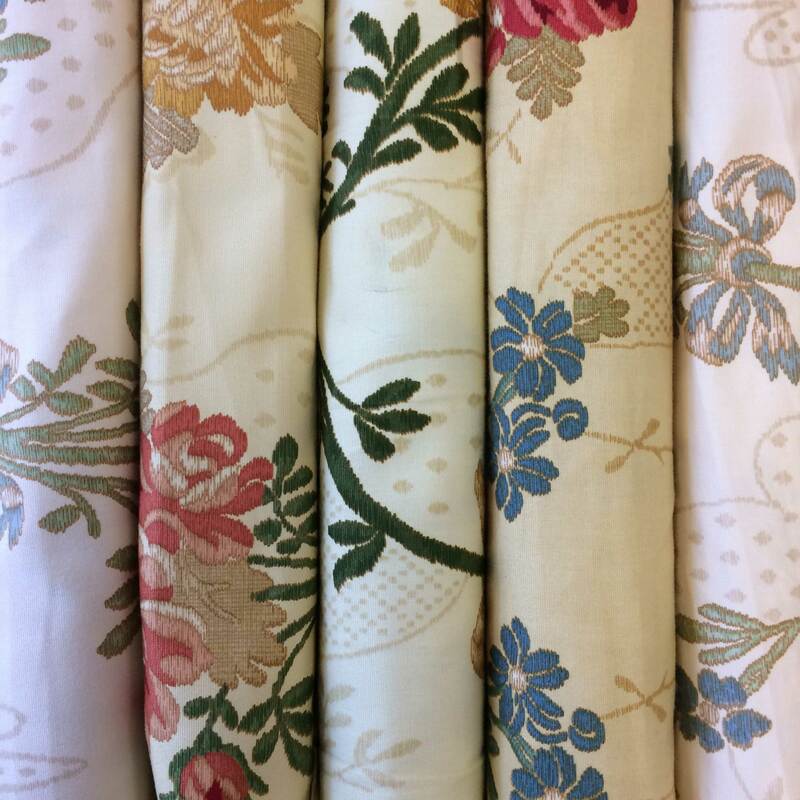 Product code: C31 Categories: Clearance, Cotton, Floral & Trees, Luxury Fabric, Oranges, Short Lengths, Vintage Fabric, Yellows, Zoffany. Bergamo by Zoffany in Lemon is a vintage floral screen printed fabric. 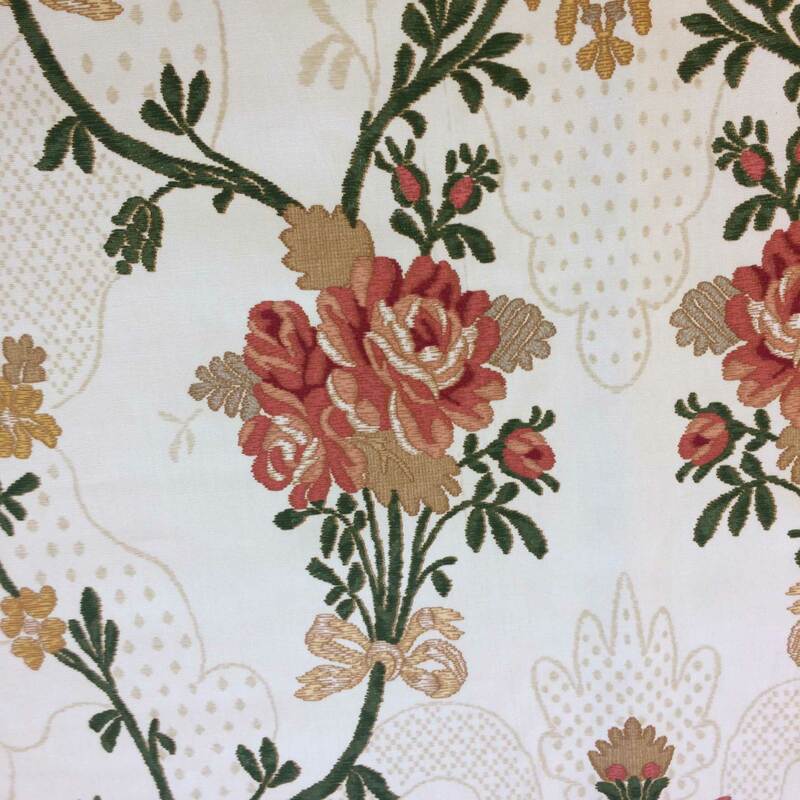 The lemon yellow fabric features a decorative floral design. 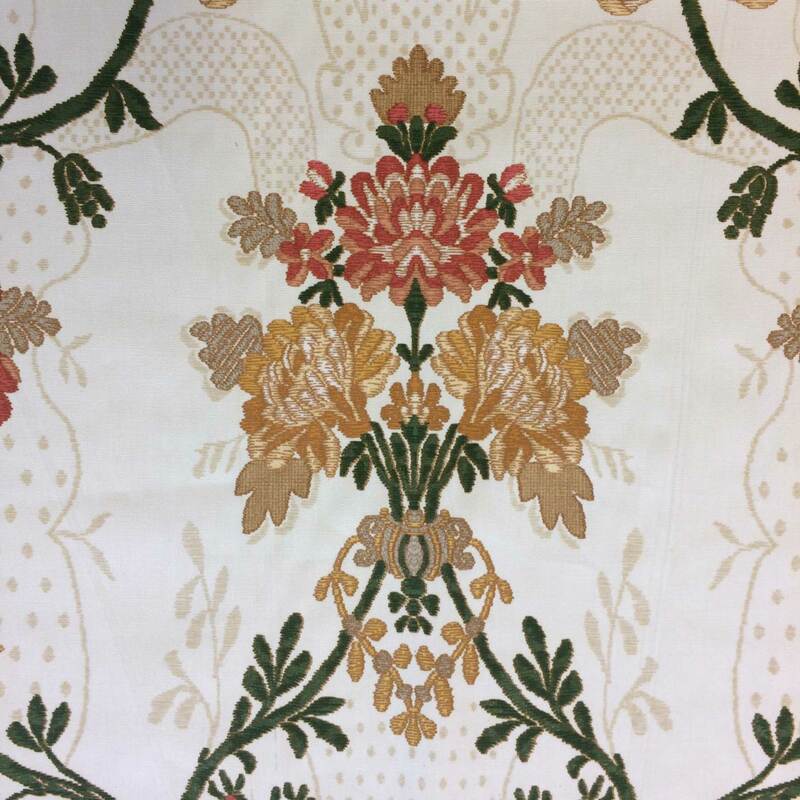 The flowers are in autumnal shades of orange and golden yellow leaf detailing. The florals are linked together by carefully placed dark green stems. We recommend using this fabric in a hall to add some elegance. This vintage fabric is best suited to traditionally styled homes. This is a 100% cotton fabric that is of good weight and quality. The fabric is suitable for curtains and blinds as well as some light upholstery. 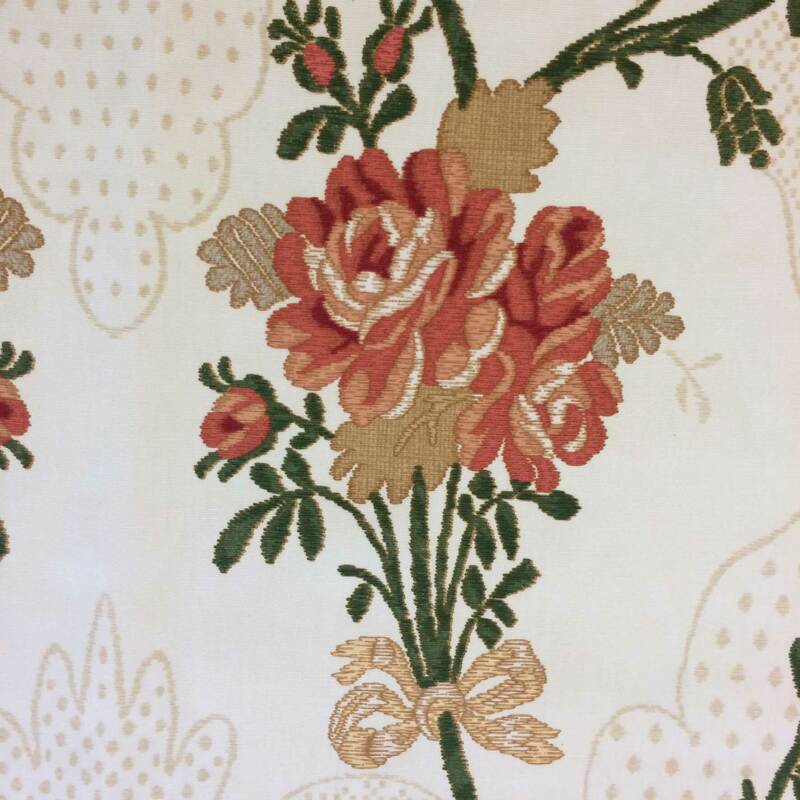 We would opt to use the fabric for blinds due to the positioning of the floral design. Equally, the fabric can be used for curtains as the fabric drapes well. Alternatively, the fabric would look the part used to upholster a footstool. The fabric measures 1.33metres in width, excluding selvedge. 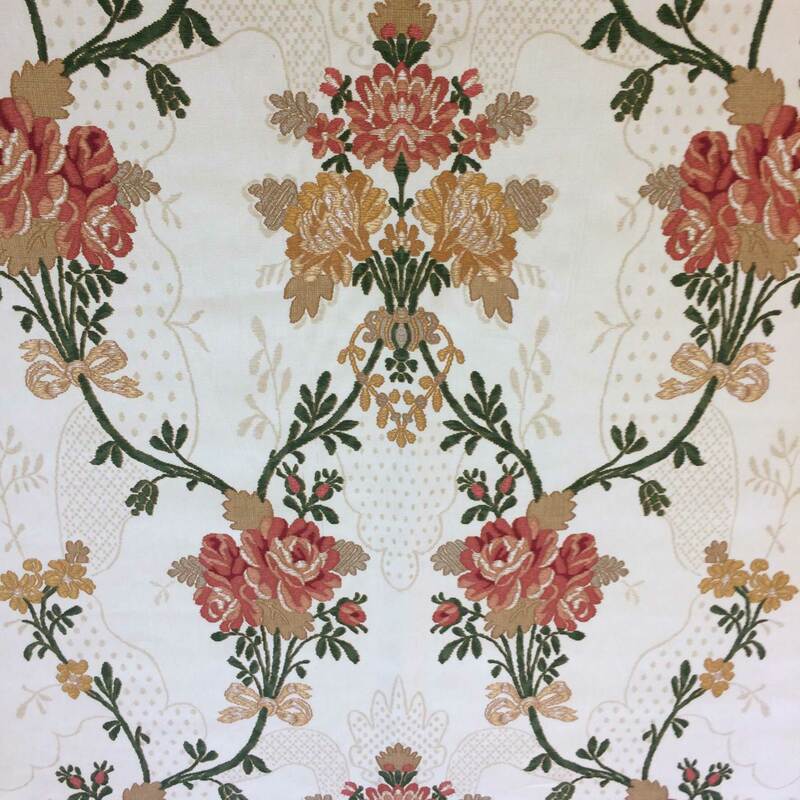 The floral design offers all over pattern coverage with the pattern repeat measuring at 56centimetres. 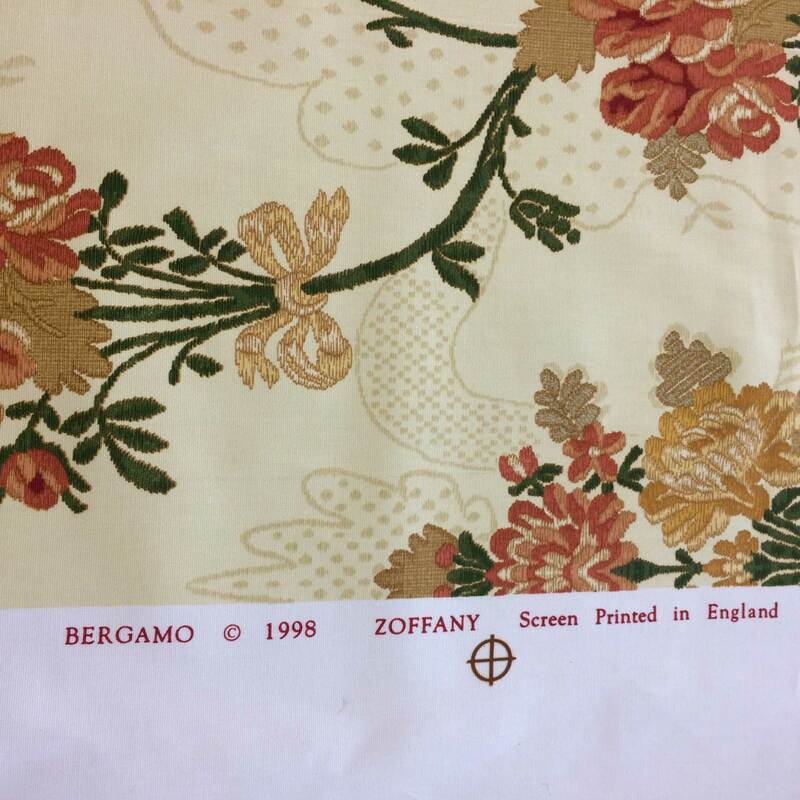 This is the final 2metre length of this fabric that has been reduced to clear. 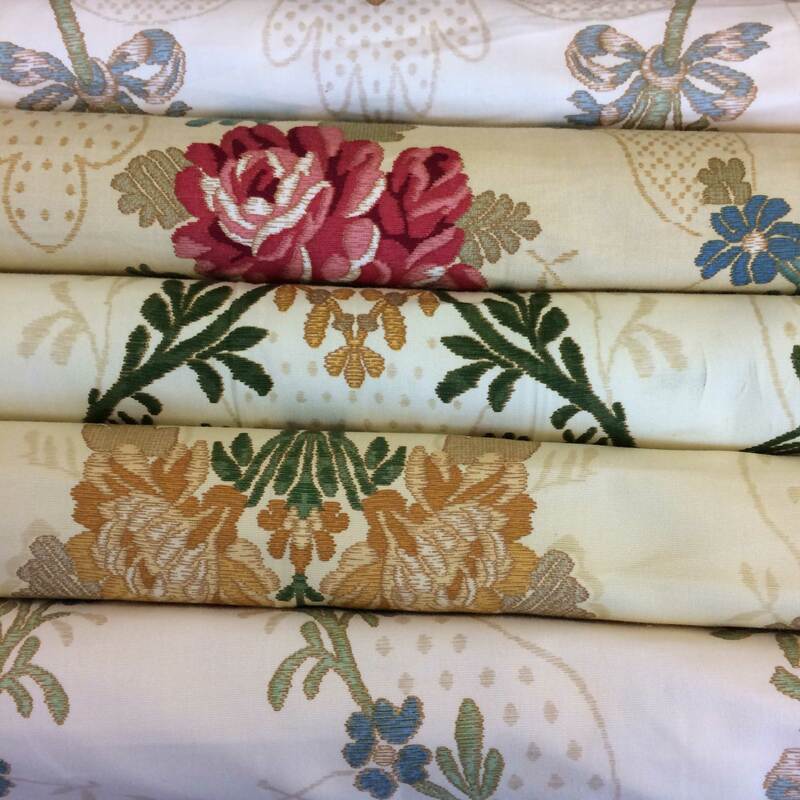 Further short lengths of this fabric are available in colourways Cream, Golden, Yellow and Off-white.